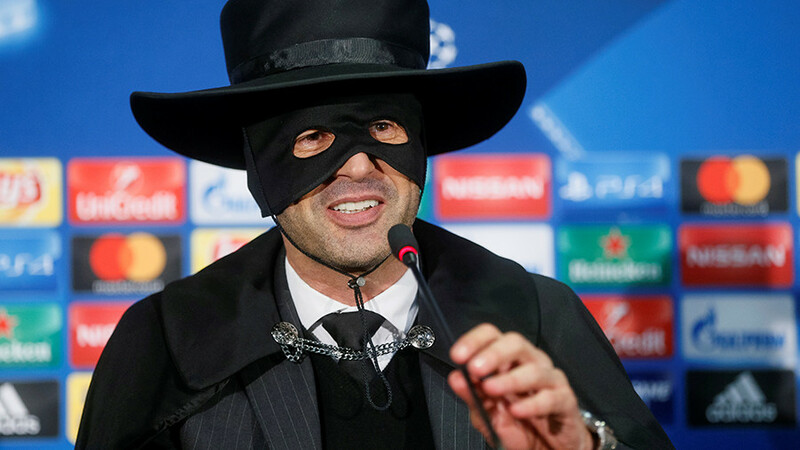 Paulo Fonseca, manager of the Ukrainian team Shakhtar Donetsk, surprised reporters in a post-match Champions League press conference on Wednesday - by wearing a full Zorro mask and costume. The Portuguese coach promised to wear the outfit of the swashbuckling Spanish hero should his side advance to the last-16 stage of Europe’s premier club football tournament. The ‘Hirnyky’ eventually prevailed over English visitors Manchester City 2-1, with goals from Ismaily and Bernard. That result sealed Shakhtar’s spot in Monday’s draw for the last 16 for only the fourth time in their history, inflicting the first defeat of the season on Pep Guardiola’s team, who sit top of the Premier League table by eight points. Not one to break his word, the charismatic Fonseca donned the all-black ensemble of domino mask, sombrero and cape in the style of the dashing vigilante to address reporters during the obligatory after game press conference. “Good evening. Do you want me to speak with the mask or without it?” Fonseca began to an amused press room. “This is the most jolly press conference of my life: everyone is laughing and smiling! It was almost a perfect match. Beating City is not easy, but we played in an organized and safe way defensively, making quality transitions to attack,” he added. Fonseca the revealed that he hadn’t had yet plucked up the courage to show the costume of the whip-cracking crime fighter to his players, instead getting dressed on his way to the conference. “No, I’ve put it on just here. The guys haven’t seen me like this, but they really wanted to. I think this joke will last on for a very long time,” Fonseca admitted. Shakhtar go into the pot for Monday’s draw alongside Liverpool, who thrashed Russian champions Spartak Moscow 7-0 at Anfield on the same night. Spartak will now play in the Europa League, having finished third in Group E. They will be joined by Russian Premier League (RPL) rivals CSKA Moscow, who were also sent into Europe’s secondary competition by Manchester United on Tuesday, losing 2-1 despite scoring the first goal of the game. The draw for the Champions League final 16 will take place on Monday, December 11, at 14.00 Moscow time, and will include Manchester United, Paris Saint-Germain, Roma, Barcelona, Liverpool, Manchester City, Besiktas and Tottenham Hotspur in pot 1. 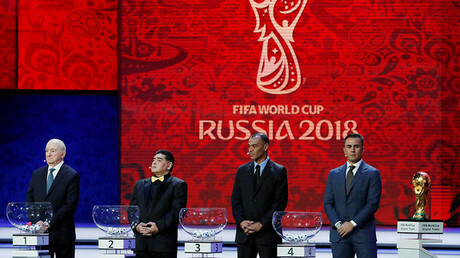 Basel, Bayern Munich, Chelsea, Juventus, Sevilla, Shakhtar Donetsk, Porto and Real Madrid make up pot 2.